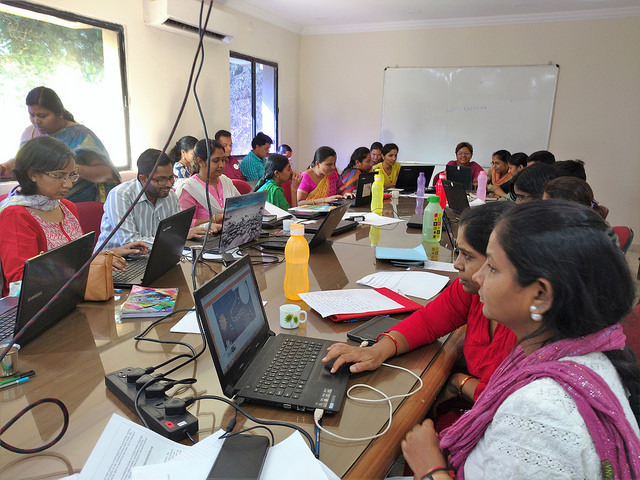 My first StoryWeaver workshop took me to Hyderabad. I was officially on the training side of the workshop, but since this was my first, I experienced those two days with two different batches as a participant too. 50+ educators, resource people, librarians and program managers from 12 different organisations and schools poured into the room and were brimming with energy even before the workshop began. Payoshni, Senior Outreach Manager and trainer for the workshop, talked about StoryWeaver - our open repository of free children’s books, its practical uses in a classroom, and the way it can be used to enhance a child’s world from all aspects like cognitive approach, social skills, comprehension, logical thinking and aesthetics. Teachers became curious students and asked us countless questions that spanned across queries about our features, to the efficacy of the platform itself. It was a delight to see them realize the applications of StoryWeaver in the classroom. Once they understood the intricacies of creating, translating or releveling (simplifying or making a story complex) stories on the platform, all of them were eager to try their hand at bringing about their own creation on StoryWeaver. The fact that the stories on StoryWeaver are free to use, read, download and print was exciting and important for teachers who came from schools based in rural settings. Active discussions ranged from how to preserve the accuracy and sanctity of a language through translations. Concerns unfolded about how some languages need more original content for the children, and one way could be to create and translate in that language on platforms like StoryWeaver. In this short video, workshop participant Shadab Ahmad, Focus High School, Hyderabad talks about how StoryWeaver will help him in getting Urdu stories across to his students and also about the ease of publishing good stories on the platform. The childlike joy of the teachers working in teams with fellow educators whom they didn’t know previously, and raising their hands to read their created stories out loud was infectious. They proudly presented their work in front of everyone and laughed along with everyone at the bits they got wrong or where they themselves had added humor! Some of them are still active on the platform and creating/translating/releveling stories for their students, for fun, or to contribute in some way to their favorite language. As we wrapped up the two-day workshop, it was a comfort to know there are educators who are eager to learn about how to improve a child’s experience in classrooms. And not just that, they want to do it through the art of stories. A big thank you to Dr.Reddy’s Foundation who made this wonderful workshop possible and all their efforts in bringing the best opportunities to their children. 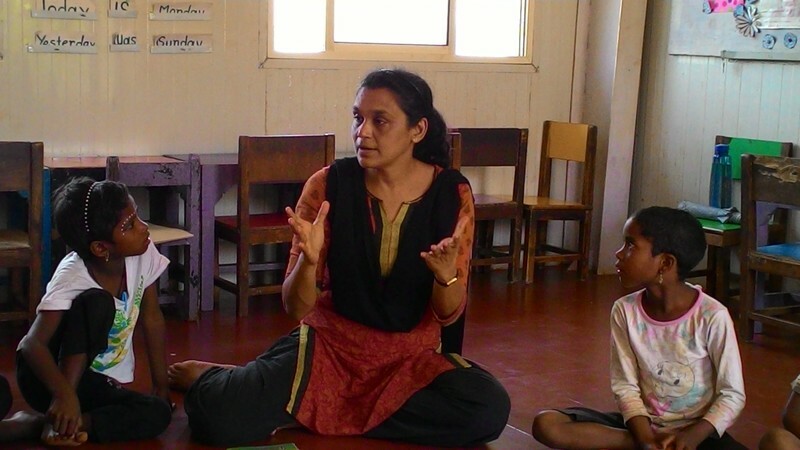 If you are interested in hosting a similar workshop for your organisation, drop us an email on storyweaver@prathambooks.org. The idea for Team4Tech was born in 2012, when Julie Clugage and Lila Ibrahim, witnessed the “transformative power of education”: Julie worked in a school in rural Guatemala while Lila worked in an orphanage in Lebanon. After working closely for years at Intel Corporation, to advance education and economic development through technology, they launched the Intel Education Service Corps in 2009. This program was met with incredible support as a large number of Intel employees began volunteering their time and expertise to the improvement of education. In September 2012, they had another idea: creating a platform accessible to talented professionals from a variety of technological companies, to improve the quality of education around the world. With this in mind, in May 2013, they launched their first project in Kenya with a total of nine volunteers. The plan was to introduce an adaptive learning software solution to increase the education level of the primary school children. Within six months of this implementation, the students had doubled their literacy test scores. Since this project, Team4Tech has engaged in many similar projects, broadening their impact on education standards. One such project was run in November, 2016, in Hardoi, Uttar Pradesh by Dawn Kwan, the project manager for Team4Tech. 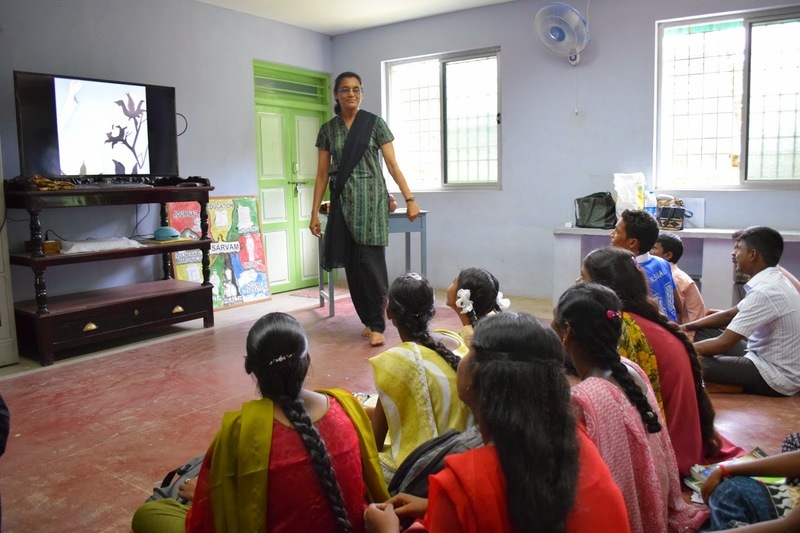 She led a project with CARE India's Udaan Mewat school where a team of VMware employees brought technology to augment the teaching and learning objectives for a residential bridge-building school for girls, who had previously dropped out of school. Udaan Mewat is an innovative 11-month program where a group of 80 girls complete Grades 1 - 5 through innovative teaching methods, and continue their studies in government schools. After 5 weeks of preparation, the VMware volunteers spent a week in Mewat, showing the teachers how to use the technology provided - building long term sustainability of the equipment. 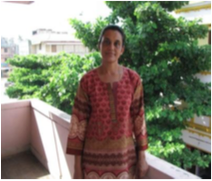 She also shared Varseena's story with us. A student in the first batch who had graduated from Udaan Mewat, Varseena learned how to use StoryWeaver. “She's extremely bright and created a story, and taught her story to the rest of the Udaan students”. Varseena will play a continuous role in the implementation of StoryWeaver since she was asked to teach the teachers how to use the platform. On the last day, one of the teachers even used a downloaded Pratham Books story in her class. Team4Tech has clearly made a lot of progress in bettering the education system all over the world through their programs and outreach. The existence of platforms like StoryWeaver and KA Lite (an offline version of Khan Academy - also used by Team4Tech) makes this job easier and more fun for the students. The technological aspect of this is what excites people the most and, in a world where electronic devices have taken over lives, introducing education via technology engages the audience more than anything else. This is why, although few in number, organisations like Team4Tech are successful in completing their goals.